Some things are impossible to prepare for and just can't be prevented. Many things, however, although difficult to deal with, can be planned for. When our loved ones get older, their health is going to decline. That's just a fact of life. If no one takes care of them, then their health will deteriorate rapidly. There are things that they can do on their own and things that you can help them with to improve their health and give them a better chance at fighting everything that old age throws at them. Exercise -- Another fact of life: exercise makes us healthier. Exercising isn't just for 20-year-old athletes. We all need to work out to stay healthy, especially seniors. Staying active can tremendously improve an elder's wellbeing: swimming, light workouts, hiking, even long walks will help. Eating Right -- Exercising won't do anything if it's mixed with unhealthy eating habits. Eating fruits and vegetables, staying away from unhealthy snacking, and eating reasonable portions will help improve anyone's health. Keeping the Mind Active --The mind is one of the most difficult things to take care of in the later stages of life. The mind -- like a muscle -- will deteriorate much faster if it is not being used. Playing chess, having engaging conversations, reading and other cognitive activities can actually workout our brains and keep them strong even in old age. Planning for the future is essential for everyone. But for those who are in their old age, estate planning is essential for the family. Depending on the situation of the elder, having a healthcare power of attorney -- which only 38% of adults have -- can help make important decisions regarding the elder if they are unable to decide for themselves. It's a scary thing to think about, but it's important nonetheless. Having a probate and trust is essential for future planning as well. Probate lawyers will make sure that the family will be protected and financially secure after an elder has passed. 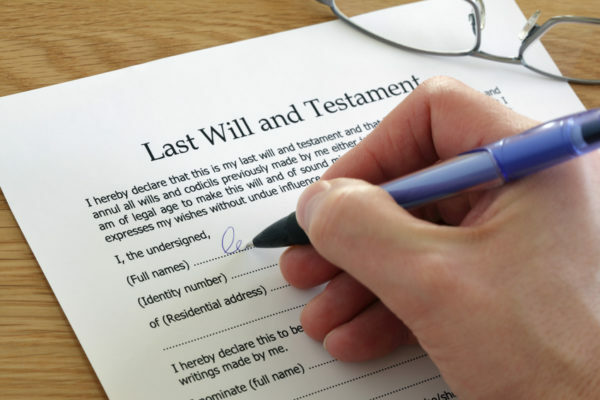 Only 41% of all Baby Boomers have gone through probate to have a detailed will. Estate law can be tricky and become complicated once a family member has passed. Having a probate and trust set up will ensure that everything is split up according to the wishes of the deceased. Probate -- Probate has to do with a will that outlines what happens to a person's estate when they die. A will could take up to two years to probate and even a less complicated will could take over six months. Trust -- A trust has to deal with property ownership and does not have to wait until death to become in effect. A trust begins as soon as it's created.